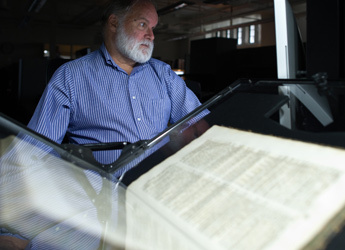 From great explorers, such as Christopher Columbus, to early British Columbian history showcased in the Chung Collection, collections of art, photographs, and stories are stored in the libraries of UBC. 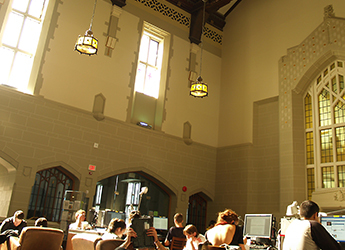 The Open Collections project was created to provide a unified platform that delivers UBC-created and UBC-maintained digital resources to enhance user experience and to offer open research data services. "Avid researchers and curious web users aren’t currently able to search through all of Library’s collections platforms", explains Larissa Ringham, Librarian, Digital Projects and a team member for the Open Collections project. Users mistakenly assume that their return list of web search results are conclusive when, in fact, more information on the same collection can be found in multiple other platforms hosted by UBC Library. "With this new portal, search results will be more far more comprehensive with one easy click,” Ringham adds. “It makes exploring our collections more transparent and a deeper dive into lots of content that otherwise would have been missed." Working together, the project team was able to overcome challenges, such as unstable resource availability and unclear project timelines. The established partnership provided an opportunity to communicate effectively, to put a governance committee in place, and to keep stakeholders informed. A project charter and resource plan were developed to facilitate the consolidation of the collection platforms, making Library’s collections ultimately more discoverable. 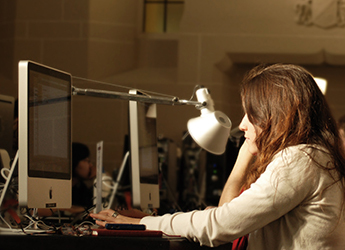 The Open Collections portal will launch in the fall of 2015 as part of the Library’s 100th anniversary.